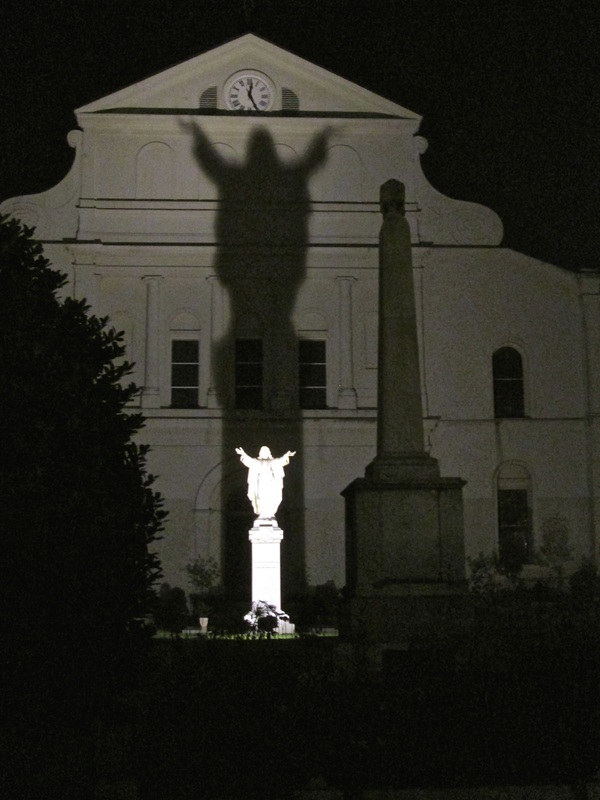 July 22, 2014 - You feel like you've been there before, and yet you know this is your first time in New Orleans. That's the sensation you get if you are a Latino arriving in the French Quarter. At first you can't quite figure out why everything looks so familiar. 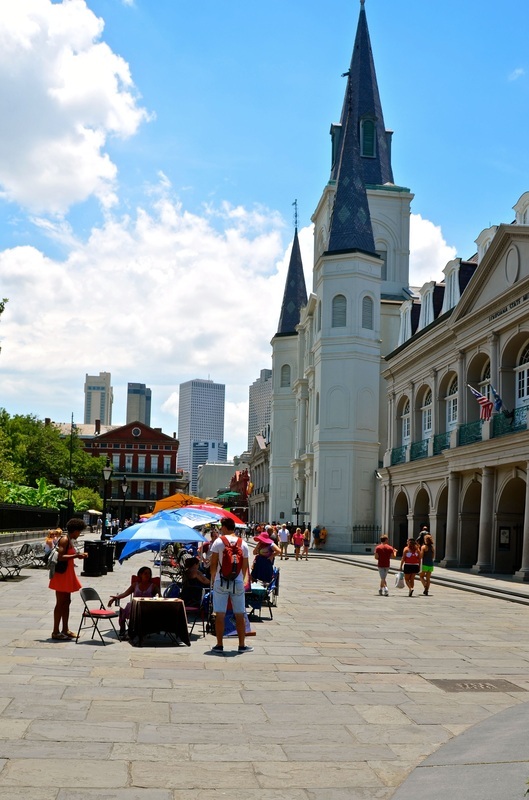 You are expecting the French Quarter to be more French! But you feel a certain "ne sais quoi." You see the beautiful cast iron balconies you may have seen in la Zona Colonial in Santo Domingo, Dominican Republic, or la Ciudad Amurallada in Cartagena, Colombia. You are surround by the architecture you may have felt embracing you in Old San Juan, Puerto Rico. You follow the crowds to a central plaza headed by an imposing church, and it reminds you of our Spanish colonial cities throughout the Americas. You see cannons, horse carriages, hanging plants, jars in the courtyards, fountains, covered sidewalks, tropical facades, arched passageways, street musicians and artists, artifact shops, outdoor cafes and eccentrically dressed people. And if you are a Latino with roots in a Spanish colonial city, you feel like you are back home! 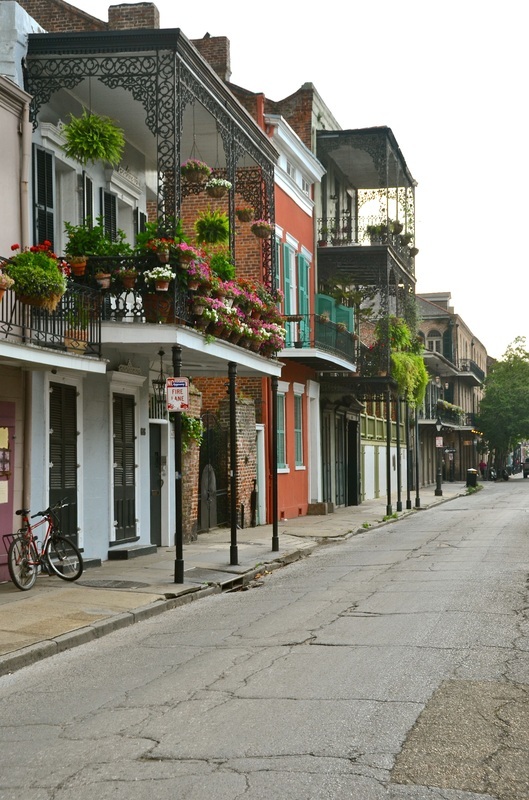 As you walk the streets, you figure New Orleans could simply be an extension of the colonial town you already know. For me, it was very personal. It took me back to my childhood. I felt as if I were walking with my parents on the narrow streets of Old Havana. Now I know why everyone kept telling me New Orleans was going to take me back to Cuba! Of course, there is a simple explanation for the feeling created by that environment: While the New Orleans settlers were indeed French, their colony and its original French architecture was mostly destroyed by fire and rebuilt during the 40 years when Spain ruled "Luisiana." While Spanish culture dissipated after those 40 years, and French culture prevailed even during those four decades, the Spanish architecture also prevailed. So what you have in New Orleans is mostly French culture housed in mostly Spanish architecture. "Latin Quarter" would be a more appropriate name. Certainty, more U.S. Latinos would know that by going to New Orleans; they would be going home again. Mind you, the city doesn't hide its Hispanic heritage. 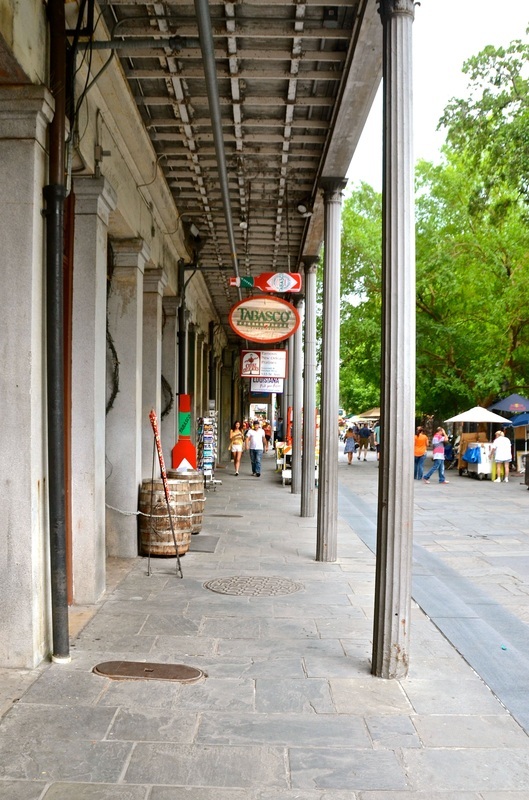 As you stroll around the French Quarter, following its French streets names, you also see ornate street signs reminding you, "When New Orleans was the Capital of the Spanish Province of Luisiana, 1763-1803, this street bore the name Camino Real y Muelle" or "Calle D Conde" or "Calle Real," etc. 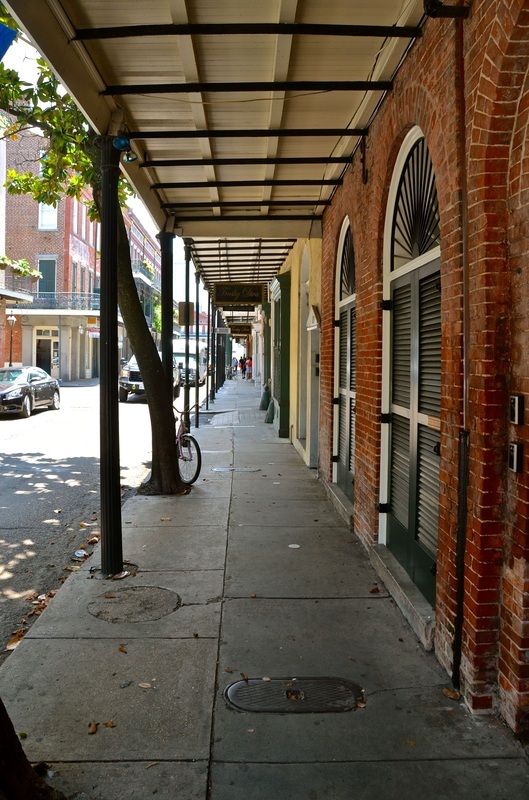 That's where you learn that the famous Bourbon Street also was called "Calle D Borbon." 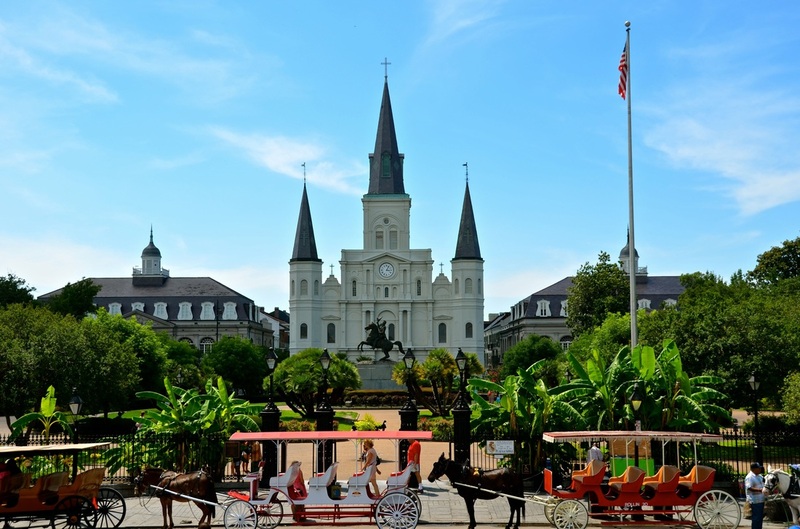 When you arrive at Jackson Square, and you see Cathedral-Basilica of Saint Louis flanked by two matching baroque-style buildings, you don't immediately realize that all these impressive structures were either built or rebuilt during the Spanish era. 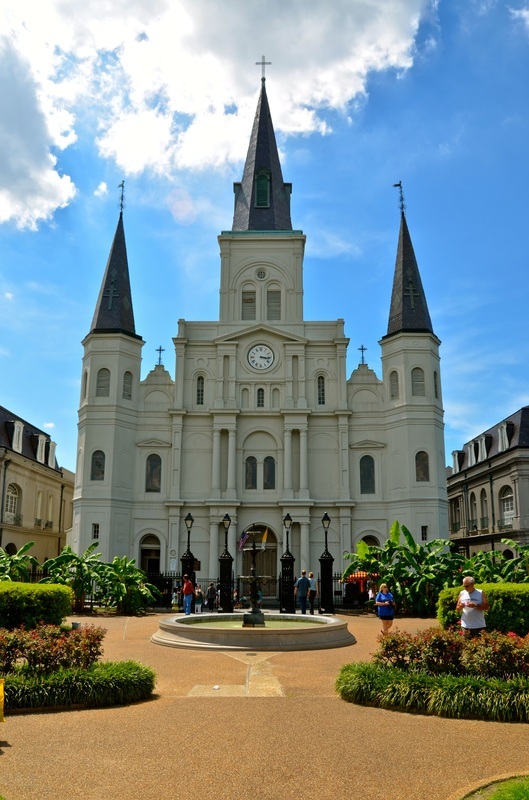 But the Cathedral, rebuilt several times, still has some portions that were built by Spain, and the two adjoining buildings — the Cabildo and The Presbytere — are almost entirely Spanish. 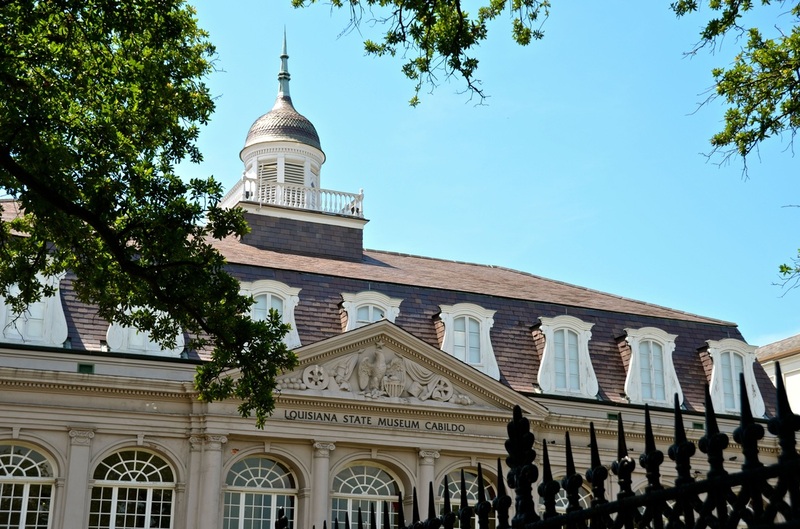 And when you visit The Cabildo, now the "Louisiana State Museum Cabildo," the exhibits show you that it has been the site of many historical events in which Hispanics played major roles in setting the course of American history. Before it became a museum in 1911, the Cabildo served as the administrative headquarters for the Spanish Luisiana Colony and later housed the New Orleans City Hall and the Louisiana Supreme Court. 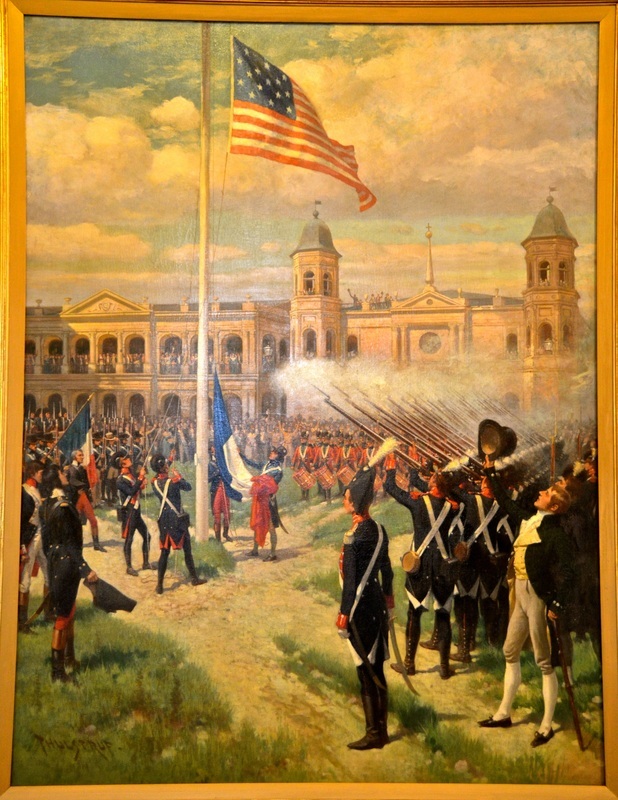 "The year 1803 saw control of New Orleans pass from the Spanish to the French and then to the American government, under the Louisiana Purchase agreement forged between Napoleon, ruler of France, Thomas Jefferson, president of the United States," the Cabildo exhibit explains. 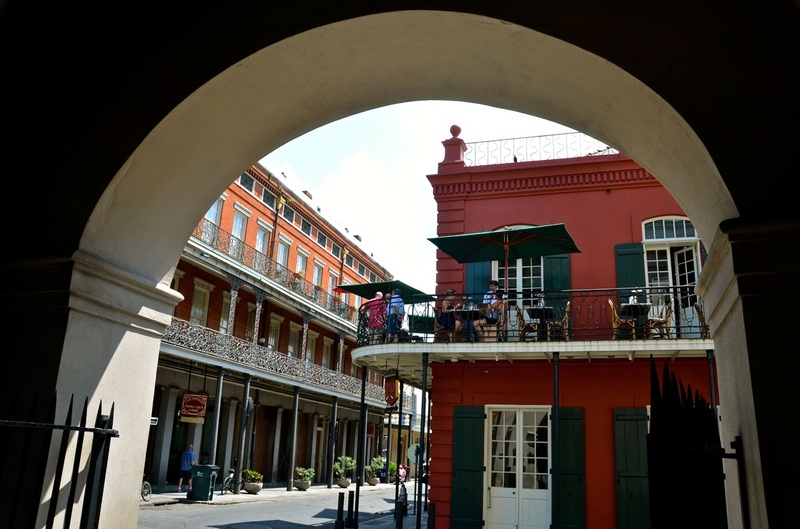 "In that year the Cabildo housed the local governments of three different nations!" According to the exhibit. Louisianans consider the Cabildo's Sala Capitular — Spanish for council room — "one of their most prestigious settings for official ceremonies, evidenced by the fact that both transfers of the colony were held in it: from Spain to France on November 30, 1803 and from France to the United States twenty days later on December 20, 1803." It is there that you see detailed maps of the early Spanish and French settlements throughout the Gulf Coast. And it is there you learn how Spain intervened in the creation of some of our present-day state boundaries, in negotiations and treaties reached after the Louisiana Purchase. And it is there you are reminded, in case you forgot, that the War of 1812, "pitted the fledgling United States against its former ruler, Britain," that it was "considered a second war for independence," and that it lasted three years "with its high point the Battle of New Orleans on January 8, 1815." 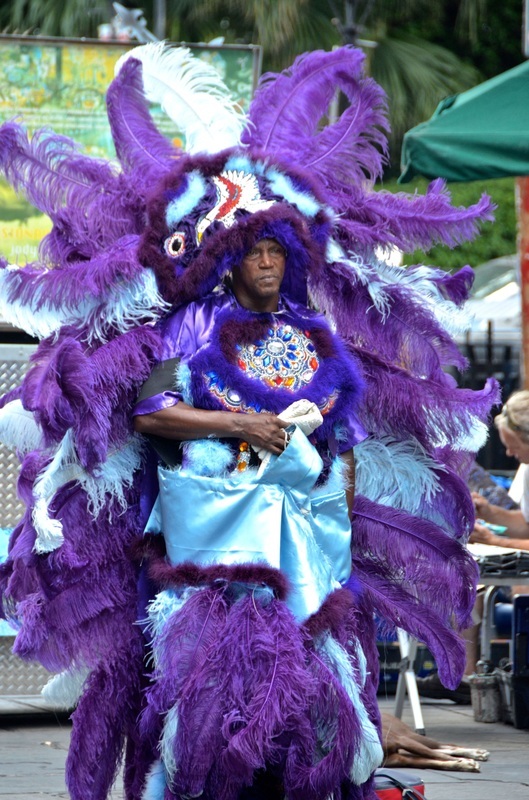 And related to these facts, there is much more hidden Hispanic heritage to explore in future columns on these state boundaries, the Louisiana Purchase and Gen. Andrew Jackson's war against Britain, and land grabs in Spanish Florida. In New Orleans, I even walked in the same alley, alongside the cathedral, where Friar Antonio de Sedella is believed to still walk as a ghost in the mornings. Sedella was a Spanish Capuchin friar who became the leading Catholic authority in New Orleans in the late-18th and early-19th centuries, and was buried in the church. I didn't see him, but parishioners and tourists have claimed to witness so many apparitions that Pere Antoine, as he is commonly known, has become part of the city's popular culture. I wanted to continue looking for him, but my Great Hispanic American History Tour must keep moving west. 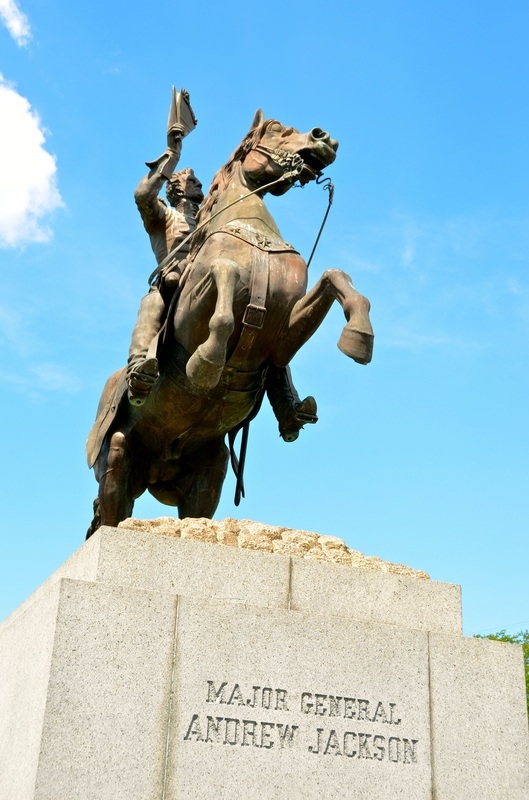 Next week, this column will explore Galveston, Texas, the city named after Revolutionary War hero Bernardo de Galvez and the island where conquistador Alvar Nuñez Cabeza de Vaca was stranded. To enlarge these photos, click on them!